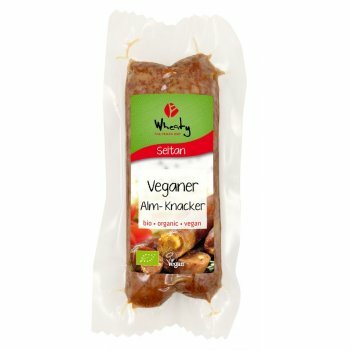 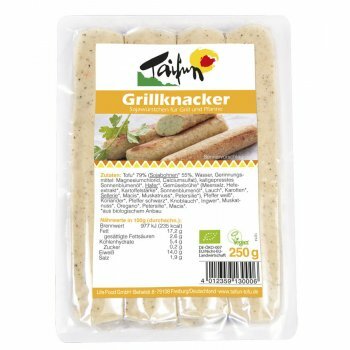 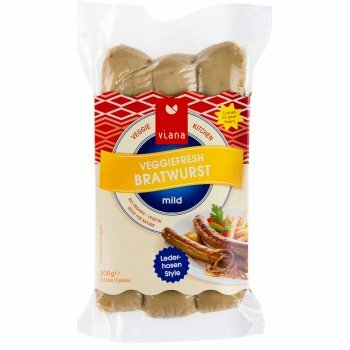 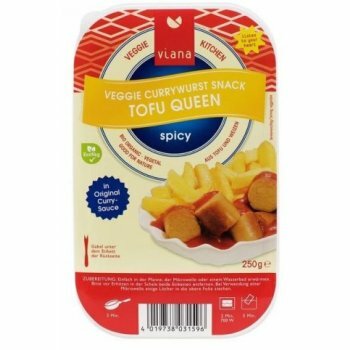 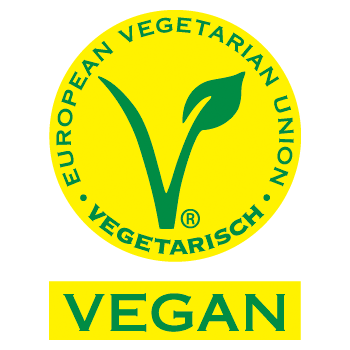 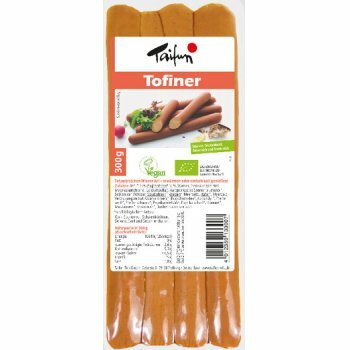 Vegan alternative to Currywurst, based on Tofu. 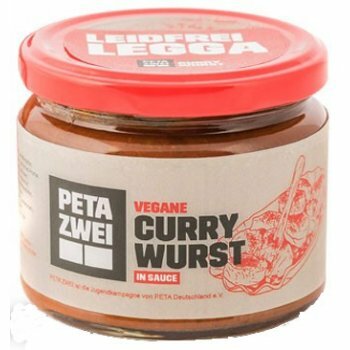 Vegan alternative to Currywurst, based on Potatoes & Peas. 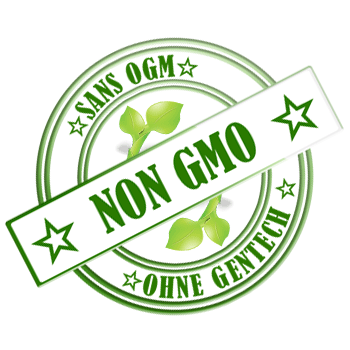 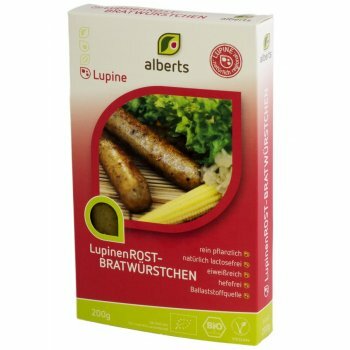 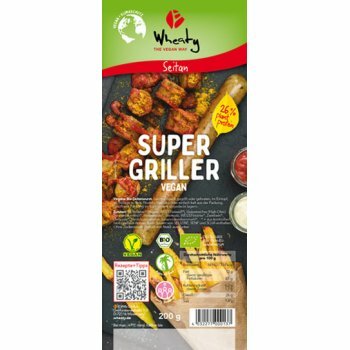 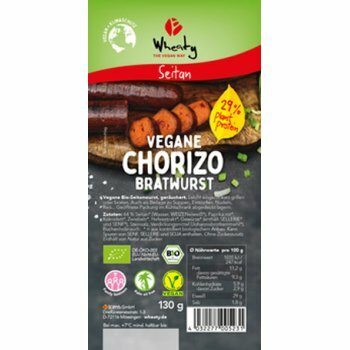 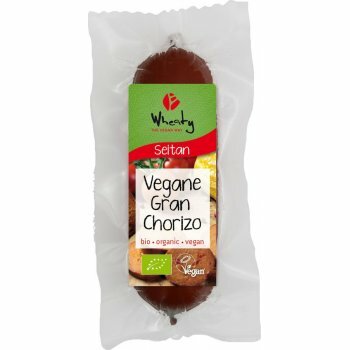 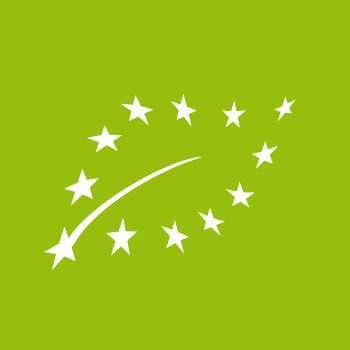 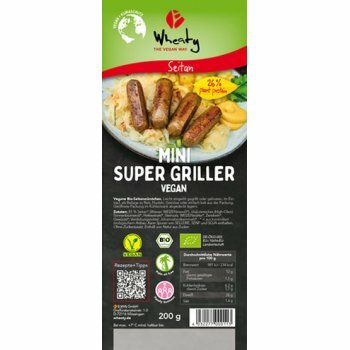 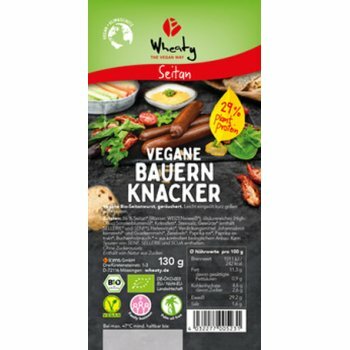 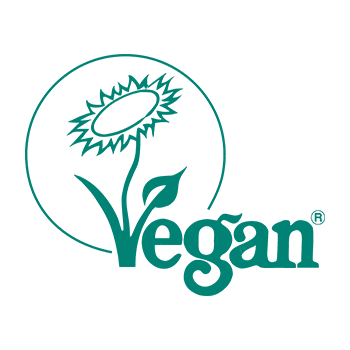 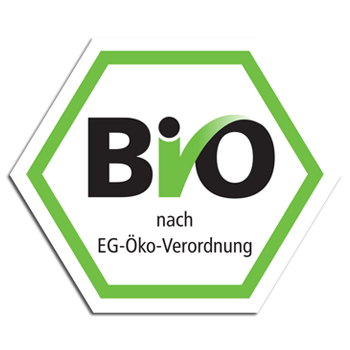 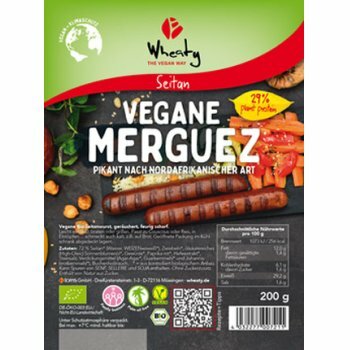 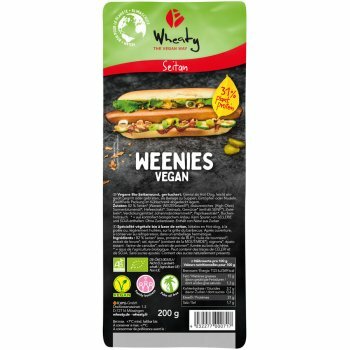 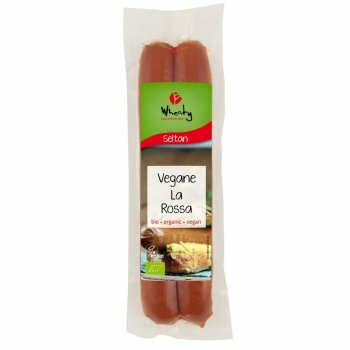 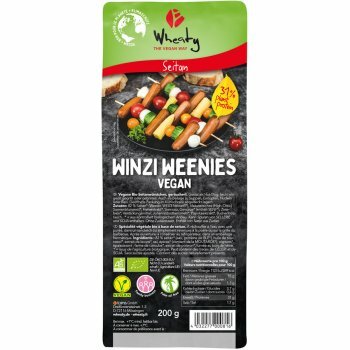 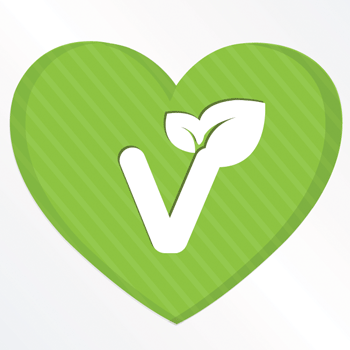 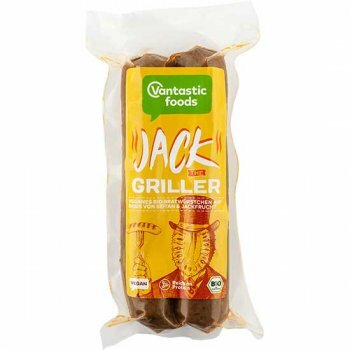 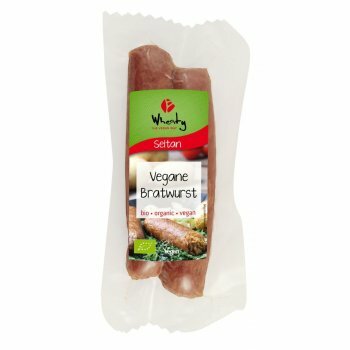 Wheaty Organic Bratwurst is a vegan sausage, lactose-free, without eggs ans super-tasty! 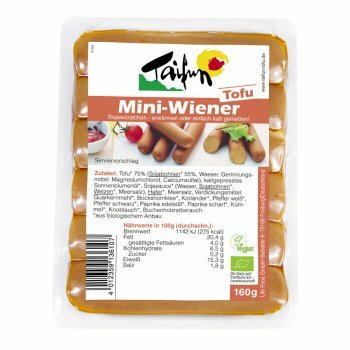 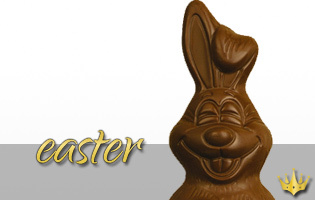 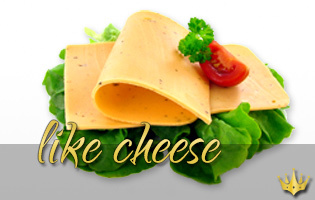 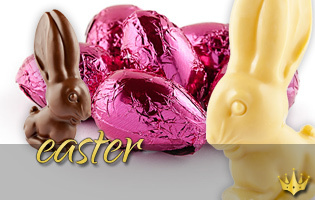 Delicious with sauerkraut, in stews or soups. 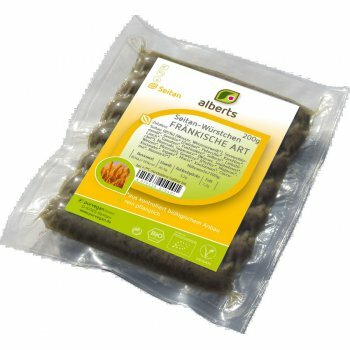 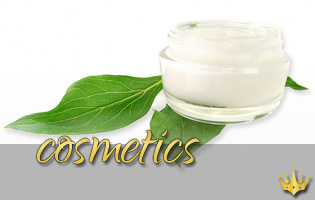 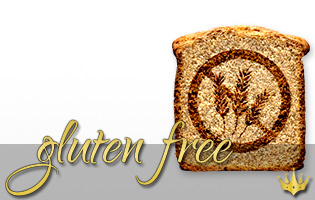 Wheaty products are generally suitable for freezing and defrosting.